I had a lovely surprise this morning when February's SoukSouk box was delivered - I wasn't expecting to receive it until Monday or Tuesday! This is my third box from SoukSouk and yet again I'm really happy with the contents! I'm enjoying reading through the little green magazine that's included with each box too, I think it's a great little addition to the boxes. There's a bonus product again this month with the raw chocolate bar as a Valentine's treat. 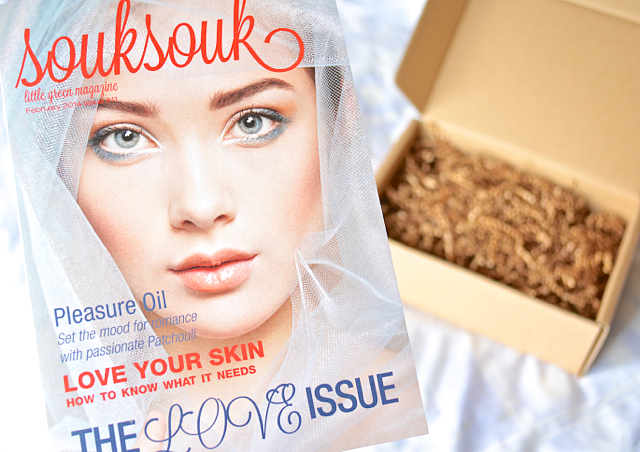 SoukSouk are doing a great job with these beauty boxes and I would highly recommend them if you're looking for a natural beauty box! The box costs £12.00 plus £2.95 P&P and this month the contents are worth about £16.00 - quite a bit less than the last 2 boxes I received, but still a great box nonetheless. I'm looking forward to trying out all these products (they smell really good!) and I can't wait to see what SoukSouk have in store next time! 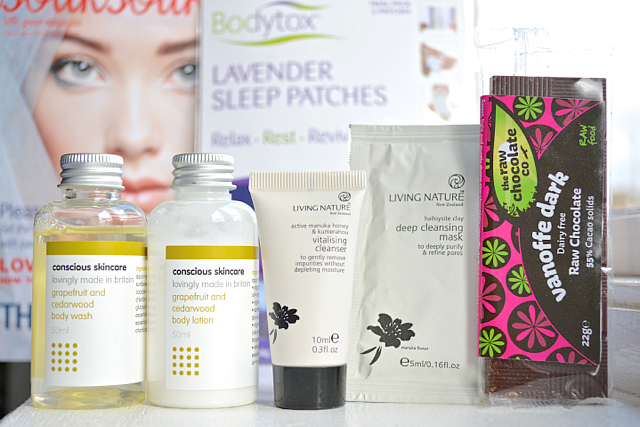 Posted on Saturday, February 15, 2014 beauty box , BodyTox , Conscious Skincare , food , Living Nature , skincare , Souk Souk , The Raw Chocolate Co. This is so cool! I'm going to check to see if they ship to Canada or have a Canadian equivalent!